LIFT’s original motivation is captured in a “State of the Community” letter sent in March 2010 to the 500-plus local Leadership Texarkana graduates, most serving in leadership positions throughout the community; this summary became the focus for LT’s first Annual Lunch with Leaders in April of that year–Moving from Talk to Action–and is the basis for LIFT’s actions since. Read more about the foundations of LIFT in ACTION. That we ARE a community of excellence and achieve it when we are working from common purpose throughout all sectors - for the benefit of all, But too often we work in isolation, settling for Half as Nice. That Texarkana is the collective business of all of our citizens and that our best results will come when we apply the same leadership wisdom to our community as that used by any successful business or organization to create excellence. The WeeklyLIFT reports blasted to hundreds and made available throughout the community. 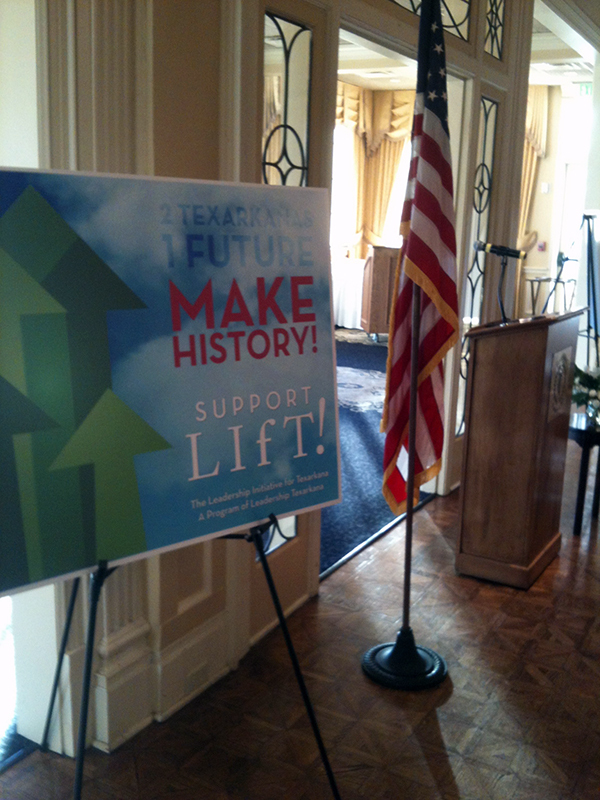 Voices of LIFT | Monthly Texarkana Gazette editorials from June 2012 to present. These editorials publicize the commitments of community leaders for ensuring community excellence, LIFT the expectations of citizens to those commitments and challenge all citizens to take their measure of responsibility for the community's future. LIFT is about working with intention to reap the mutual benefits to every citizen from working smart and working together for community excellence throughout our community. LIFT resonates with citizens because all want our community to be “Second to None” instead of ever settling for Half as Nice. IMAGINE TEXARKANA IS YOUR BUSINESS–BECAUSE IT IS!